Square Feet: 1,115 sq. ft. This Boutique Loft Building is Simply the Best! 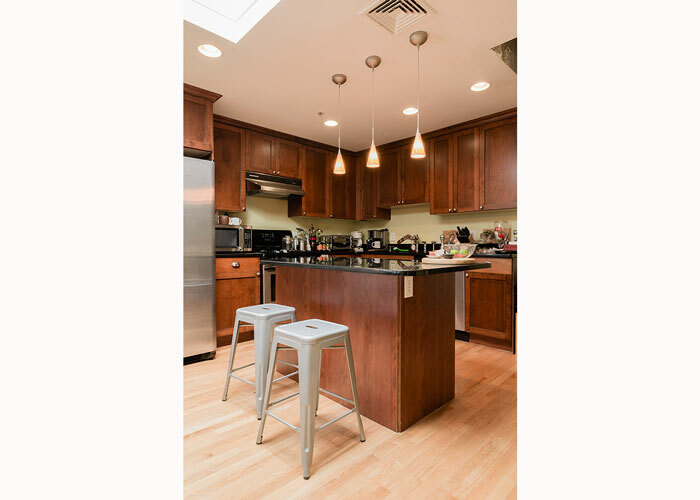 Welcome to the penthouse level at East Boston’s premiere boutique loft building – Paris Flats! This 1115 square foot open loft has great light and terrific space. The kitchen is stunning with cherry cabinets, granite countertops, stainless steel appliances, custom island and exquisite lighting. You will love all the extras which include a lovely skylight, great closet space and plenty of windows. With a separate bedroom for wonderful privacy, it’s the best of loft living, yet practical too. Air-conditioning and in-unit laundry, all in an elevator building – it is clear the moment you walk in the door that no amenity was spared. While you will love the interior of this home through and through, we must say the best part of this loft is the 500 square foot private roof deck with sweeping city views of Boston and beyond. It’s the perfect outdoor space and it is all yours, easily accessed right from within your unit! Secured long term parking for only $75 per month completes the package. What a fabulous opportunity this is – the first time this loft has been on the market since the building first opened ten years ago and the time has come to welcome the proud new owner to this stunning home! The neighborhood is thriving with new restaurants, specialty shops and conveniences at every turn. The Blue Line T is a quick five minute walk and the Tunnel is around the corner and is only 45 cents for residents. The nearby parks provide incredible green space and the new, exciting Waterfront is just beginning to emerge and develop – the time has come for East Boston and there is no better place than this wonderful loft home!